Search Results for "18 wheel truck"
18 Wheel Truck on the road with sunset in the background. Large delivery truck is moving towards setting sun. Closeup on a moving wheel. 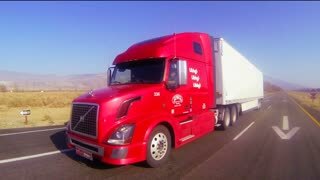 Animation of an 18 Wheel Truck on the road during sunny day. Closeup on a moving wheel. 18 Wheel Truck on the road with sunset in the background. Large delivery truck is moving towards setting sun. 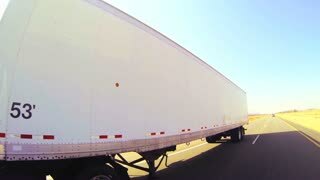 Animation of an 18 Wheel Truck on the road during sunny day. 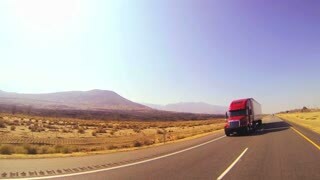 An aerial over a desert landscape with an 18 wheel truck moving along a highway in the distance. MOSCOW, RUSSIA - JULY 18, 2015: The festival of Japanese cars. Stuntman performs a trick on a quad bike. Slow motion. UNITED STATES 1970s: 18-wheeler truck drives on road. Car drives in lane next to the truck. Truck tries to merge into the lane. Truck swerves back into lane. Truck driver looks left hand shoulder. 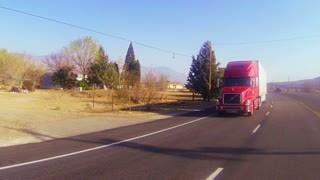 Aerial Drone Tracking Shot Following Multiple Commercial 18 Wheeler Trucks down a Road in Center Frame. Large distribution center filled with shipping containers and 18 wheeler semi tractor trailer trucks moving inventory containers.